Formed in November, 2000 in Glendale, Arizona, our original target markets were the residential home theater, home automation, and smart home technologies, hence the name "Casa" which is Spanish for home. Since then we’ve built a reputation for delivering every project on time and within budget. With this reputation we were able to expand our reach to the Rocky Mountain full time. 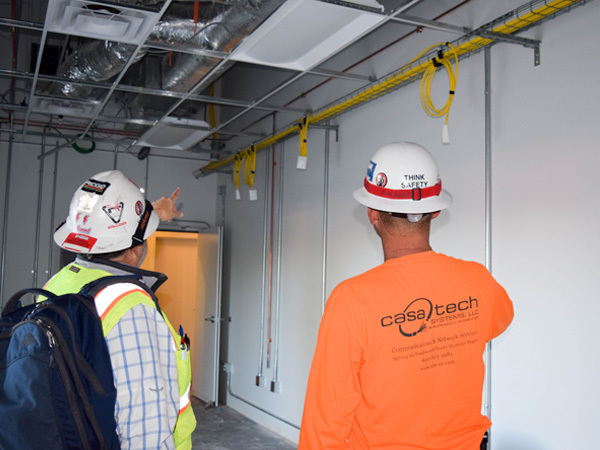 In 2012 we opened our branch in Denver, CO. Our BICSI RCDDs, including a Network Transport Specialist, have the knowledge and expertise to design and implement effective and efficient communications and network cabling systems. We offer our customers comprehensive installation and maintenance services by providing experienced staff to assure the success of each project. Whether it is a tenant improvement project for a single business or a multi-story tenant system, our team delivers the quality and services required. 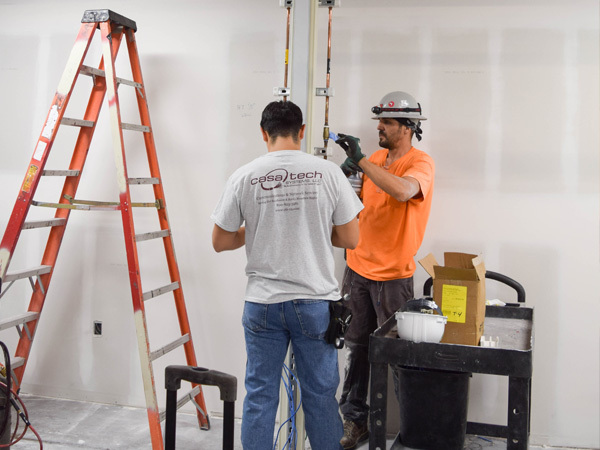 Searching for a niche market we decided to focus our expertise on the installation of structured cabling systems and fiber optics for commercial and industrial clients throughout the Greater Phoenix area. Casa Tech has built our reputation on assurance to quality service. This assurance affects every aspect of our operation. It can be seen in our quick response to customer requests. We aggressively pursue practical applications for new technologies and continue to develop the services we provide. We have dedicated our efforts and resources by staying on the leading edge of the communications industry while remaining sensitive to the changing needs of our customers. Casa Tech Systems encourages continuing education programs for its employees on related study. We also train with our manufacturing partners such as: Panduit Corp, Fluke Networks, General Wire & Cable, Corning Fiber Optics, Optical Cable Corporation and BICSI to provide qualified and certified technicians to our customers. It’s the words that speak boldly of your intentions, and the actions that speak louder than the words. It is making the time when there is none, coming through time after time, and year after year.